June 2013 – Hurley Books – How do you do? This is the story of Isaac Muthethe, a promising young medical student who is forced to escape from South Africa to Botswana, smuggled in the base of a coffin. 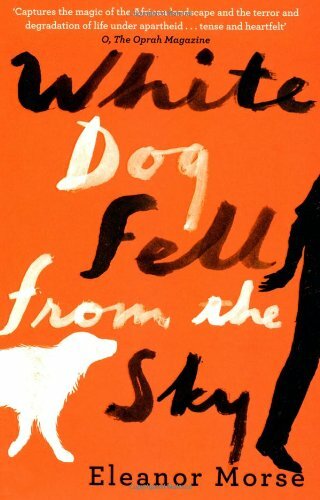 He arrives with no papers, no money and no contacts and the only thing interested in him is a small white dog that comes to investigate the body dumped out of a hearse. The year is 1977 and apartheid is in full control in South Africa. Isaac cannot return home to his family and has to come to terms with all that he has lost and how to start again. From nothing, Isaac meets up with Alice, a white woman at odds with her life and marriage in Botswana, who takes him on as her gardener. He also bumps into an old school friend who is now part of the ANC. Through them and through the people that they know Isaac’s life is permanently altered. Beyond the separate stories of Isaac and Alice’s trials is the sense of a changing Botswana, of old ways being lost or “improved” by overseas academics and politicians. In this book there is much pain and cruelty and yet the book is not depressing or introspective. It focuses on hope and how people cope and survive through setbacks and massive traumas. Morse has a beautiful writing style and whilst the story meanders along, occasionally we pause at little tributaries, marvelling at a tiny observation and then continue on again. This is a very fine book that will ultimately leave you inspired. To buy this book through our Amazon shop please follow the link below. You know where you are with an Edward Rutherfurd novel. You’re on a plane or a beach or enjoying a week of nothing to do. That isn’t to dismiss Rutherfurd but to acknowledge that his books are huge and deserve time and space to be appreciated. It’s best that you have got time and space because you will very quickly get hooked and then all other plans go out the window for days and weeks. His latest book is Paris and follows four families from the twelve hundreds up to the swinging sixties. Throughout the centuries, the fortunes of each family rises and falls and intersects with each other, each time in a new way. To add to this enjoyable rhythm, Rutherfurd does not tell the story in a linear sequence but flits back and forth through time. When tragedy strikes in the past you wonder how on earth the modern day branch of that family managed to recover. Slowly all is revealed. The bulk of the story follows three generations from 1875 to 1940 with historical flashbacks giving greater depth to the story. Cunningly we find ourselves absorbing French history without being bored or dictated to and this is partly because Rutherfurd doesn’t focus on the main event, the crushing of the Knights Templar or the French Revolution, but instead looks at the repercussions such dramatic events had on the way people had to live their lives in the aftermath. 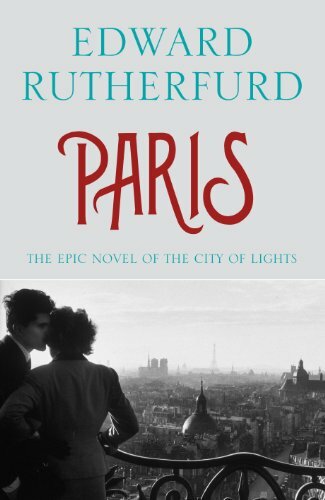 Rutherfurd has always been well known for fleshing out the bones of a city and readers will find Paris just as engaging as London, Sarum or New York. To buy this book from our Amazon shop please click on the link below. 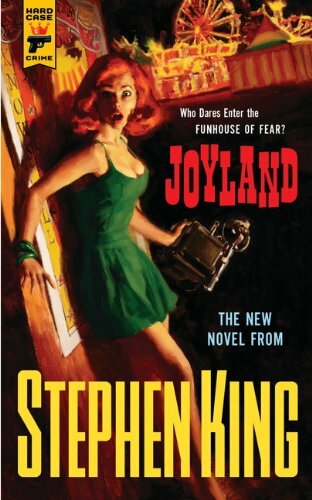 Joyland has been written for a new imprint “Hard Case Crime”; aiming to bring readers hard boiled crime, it has a very ’50s noir sense of pulp fiction pulling together new commissions and lost classics. This book certainly has the feel of a lost classic from King himself. Although it is a crime story, a serial killer in a carnival, King adds his normal twists with reports of a haunting from a victim that can’t let go and a dying boy that needs to help free her. This is a wonderful return to old school King. All the familiar characters and themes are there; the coming of age protagonist, the sick child with a special talent, the beautiful, out of reach girl, the knowing elder, a serial killer and a carnival set in the 1970s. What makes this title special is that the writing is fresh and the storyline zips along. For people that have found recent King novels to be quite lengthy and thoughtful this will make a refreshing change. At only 285 pages there is nothing here but action and suspense. I loved it! Buy your copy from us via Amazon.